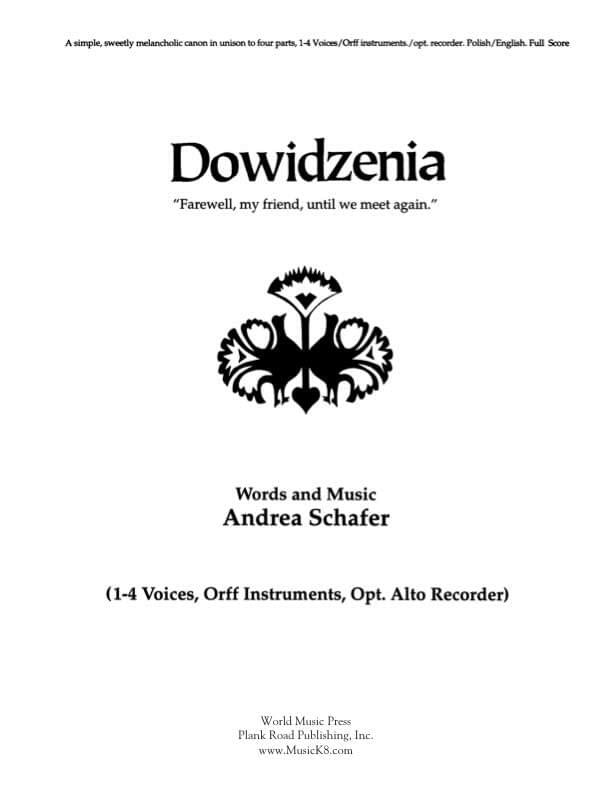 With words and music by Andrea Schafer, this is a sweetly melancholic canon in Polish and English: "Farewell, my friend until we meet again." Unison - four parts; optional piano; optional Orff instrument accompaniment. Available: a cappella song; vocal/piano/recorder; Orff instruments; director's score (piano, vocal, Orff instruments, recorder).